For the first time in our May 2011 survey, we also included a follow-up question asking cell phone-owning Twitter users2 if they access the service on their phones and found that half (54%) access the service in this way. 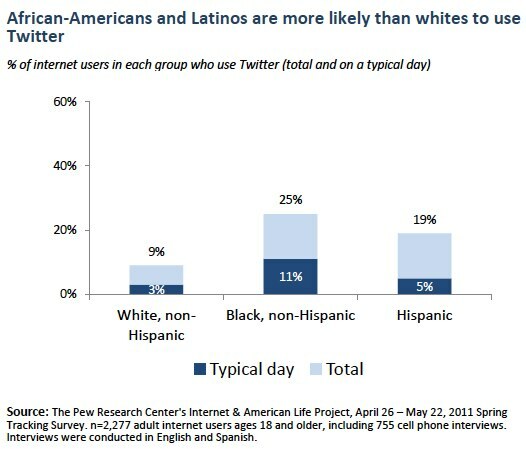 Due to sample size limitations, we are unable to provide detailed statistics on mobile Twitter usage by different demographic groups. 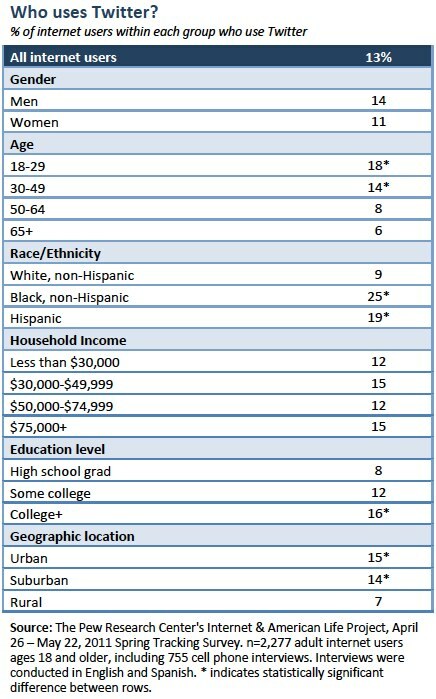 Although young adults continue to have relatively high rates of Twitter usage, the number of 30-49 year olds who use the service has doubled since late 2010—from 7% of such users in November to 14% in May 2011. 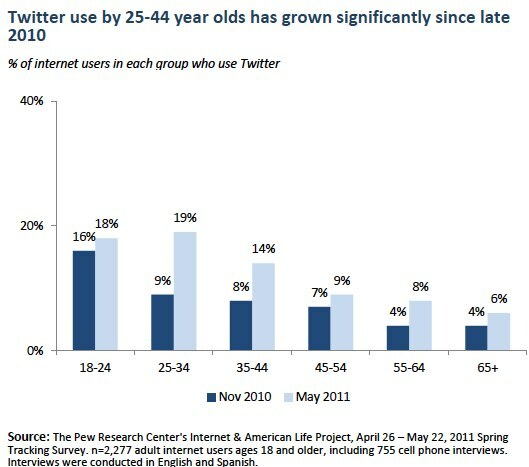 This growth trend is especially pronounced among 25-34 year olds—Twitter use for this cohort roughly doubled between November 2010 and May 2011, from 9% to 19%—although growth in Twitter use among internet users ages 35-44 was notable as well (from 8% in late 2010 to 14% in spring 2011). By contrast, Twitter adoption over the same time period was stable among the youngest adults (those ages 18-24) who were the most likely to use the service in our first survey.